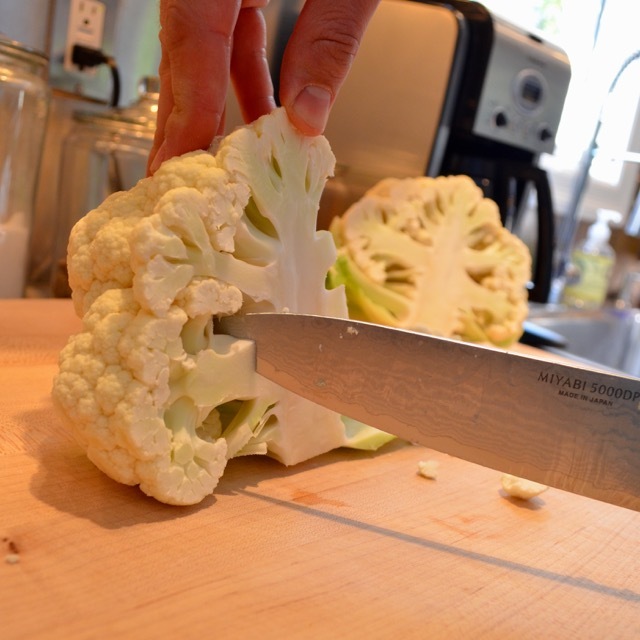 Enter our old friend, cauliflower. Several years ago, we were obsessed with a cauliflower pizza crust that another food blogger discovered (Google it) and we convinced ourselves it was a healthy alternative to our “pizza daddy,” Papa John. We have returned to this seemingly bland vegetable to create this cauliflower fried rice. Pair this simple recipe with our last post, sesame chicken as an excellent side that will scratch that Chinese itch (do NOT Google that). 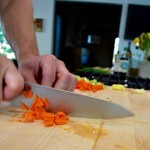 Or throw in some grilled chicken to elevate it to a healthy main course dish. 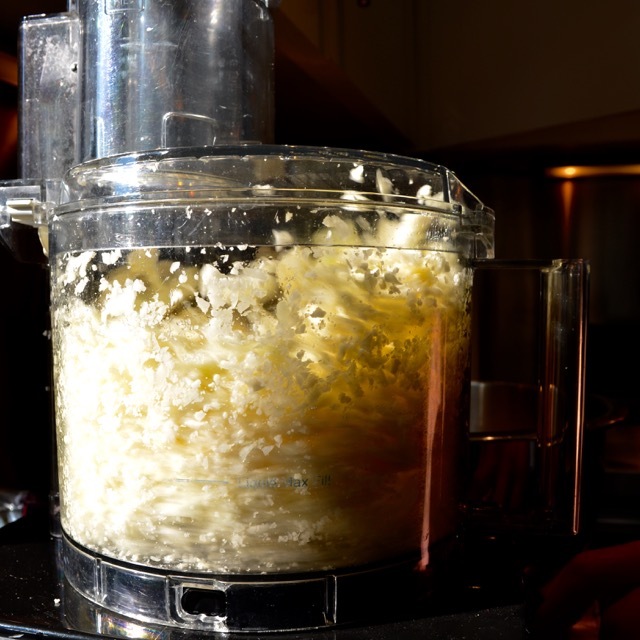 Cut florets from cauliflower and place in a food processor (you may work in several small batches to not get the “rice” too small). 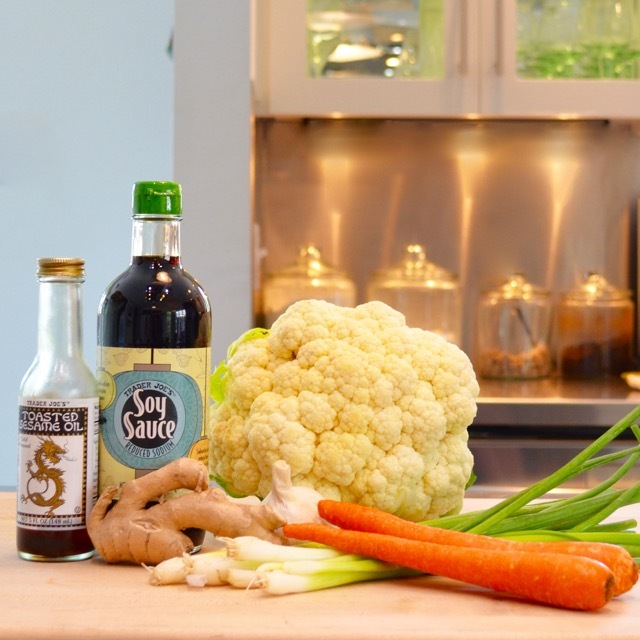 Pulse the cauliflower until you get an even rice-like consistency. In a large, deep pan over medium-high heat, heat 1 tablespoon sesame oil and the olive oil. 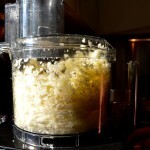 Add garlic and ginger and sauté until fragrant and golden, about a minute. Toss in green onions (reserving about three stalks worth for garnish), carrots and peas if using and sauté for an additional 7-9 minutes or until the carrot has began to soften. 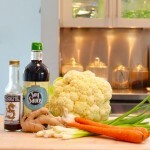 Add cauliflower, 2 tablespoons sesame oil and the soy sauce. 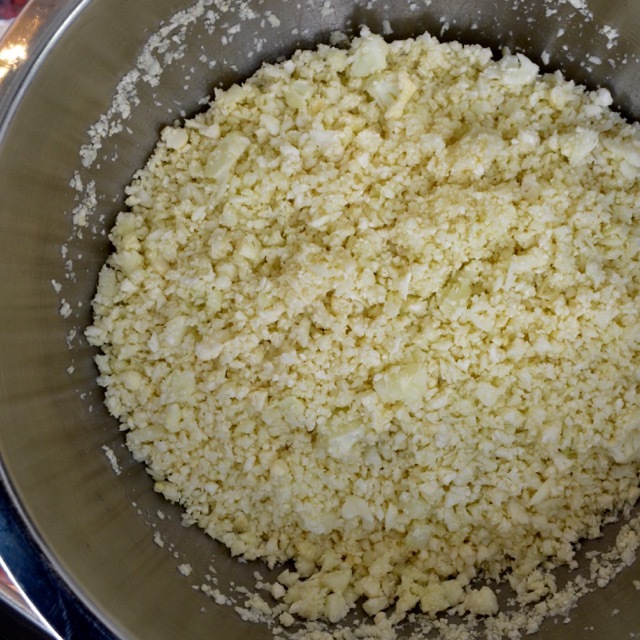 Sauté, stirring often until cauliflower begins to soften. This step usually takes about 5-7 minutes or so. Be careful here, you don’t want it mushy or it will begin to release too much liquid. 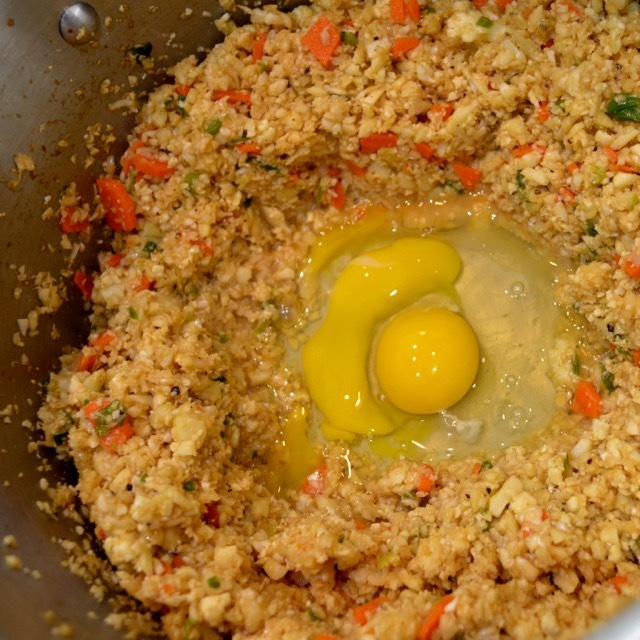 When cauliflower is to a good tenderness, make a “well” in the center of the pan by pressing the cauliflower to the outside edges and crack eggs into the center. Scramble with a spatula until set then toss into cauliflower in the pan. 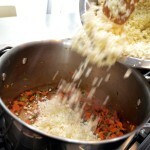 Remove rice from heat as soon as possible by placing in a large bowl to eliminate overcooking. 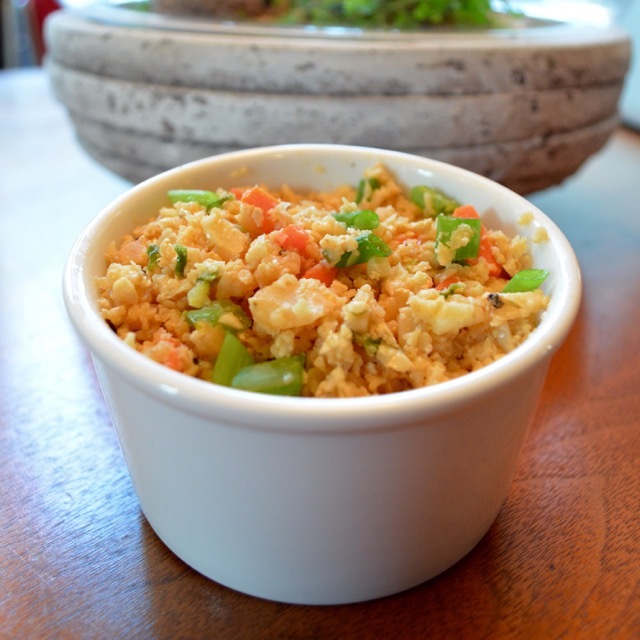 Toss in remaining green onions and serve hot. 2 Responses to "cauliflower fried rice"
Yummy! 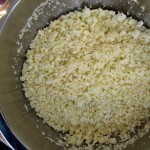 Every since I saw this cauliflower crumbles I have wanted to try them.